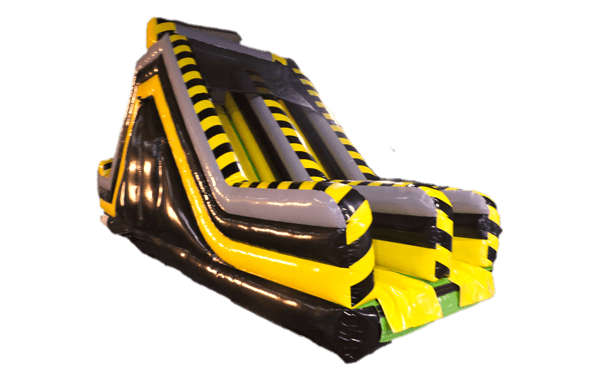 This 30 ft Long Rock Wall Slide is a dual lane slide with rock wall. 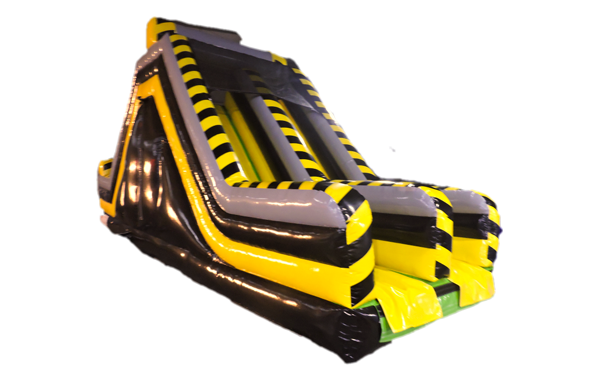 This inflatable can be combined with our 40 ft Danger Zone and 45 ft Danger Zone Obstacle Course to complete the 115 ft Danger Zone. You can also add another rock wall slide for a total length of 145 ft. This two person race to the finish will keep your guest entertained for hours. Total height of this Slide is 15 ft.